These concerns aren't new, but Pete Spotts reports in The Christian Science Monitor that the researchers say their work has built "a detailed picture of these critical water sources – how the amount of water they contain varies with time, location, and regional climate patterns – and could allow for more nuanced approaches to local water management." Those issues are already complicated by competing governmental agencies trying to mete out a vanishing yet shared resource, each wondering how to straddle "the divide between private ownership of land, and by extension the water under it." The study has some dire warnings. "One involved the Ogallala Aquifer, a resource that stretches north along the Texas-New Mexico border through the Oklahoma panhandle and western Kansas to extend through virtually all of Nebraska and into eastern Wyoming," Spotts writes. 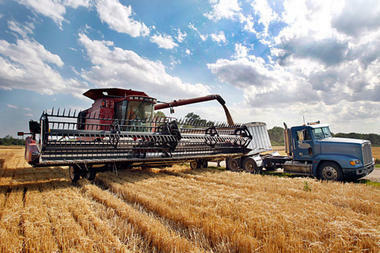 "Farming in the High Plains contributes about $35 billion a year to the economy. The central and southern High Plains is where groundwater losses have been most pronounced. For the southern High Plains in particular, if consumption continues into the future as it did between 1997 and 2007, the aquifer there will be unable to support irrigation for about 35 percent of the region within the next 30 years, the researchers estimate." The sheriff's office of Josephine County, Ore., released 39 of its jail inmates this week because the county just couldn't pay for their upkeep anymore. The "funding predicament" reported by Undersheriff Don Fasching was due to a sharp drop in the county's share of federal timber revenue due to logging cutbacks in national forests to protect northern spotted owl and salmon and because voters turned down a $12 million levy to fill the gap left by the government-provided subsidy's expiration of that revenue which ran out last year. Undersheriff Fasching said those inmates released were in jail for drug crimes, minor assaults, burglary, identity theft and probation violation. Jail Commander Vicki Smith said, "We did keep the worst of the worst." Fasching added, "We are concerned for public safety." Applications for gun permits have skyrocketed, according to the Associated Press. The AP also reports sheriff's patrols, the district attorney's office, parole and probation supervision and juvenile justice departments all face similar cuts as budgets need to be balanced countywide. Klamath and Lane counties in Oregon have done likewise. 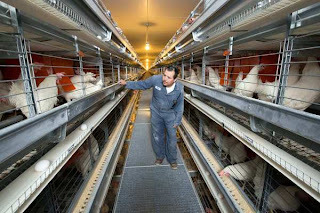 Chad Gregory, senior vice president of the United Egg Producers, a trade organization that represents most of the nation's egg farmers, called it "a major wake-up call to the entire U.S. egg industry." He said that his organization believes the support of the Humane Society is "crucial." The law would, if passed, nearly double the amount of space usually afforded hens. It is common in some states, the story states, for hens "to be housed in less than 70 square inches -- smaller than a sheet of printer paper." Maggie Clark, staff writer for Stateline, the daily news service for the Pew Center for the States, reports that while the majority of state fairs are still government-operated, as "state budgets have shrunk, so have the fortunes of the historically revered state fair. The fairs have lost much of their government subsidy, while still having to cope with a significant amount of state regulation. But the fair’s new ownership has not come without controversy." 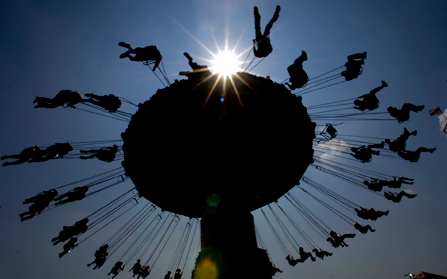 The Virginia fair's new owners are Tennessee-based Universal Fairs, which owns five other state fairs and festivals. Clark writes that Universal "isn’t very much interested in the animal exhibits, crop displays and crafts projects that have marked the fair since its inception. In transitioning to a for-profit model, the Virginia agricultural community is concerned that the new owners will abandon the scholarship offerings for youth in agriculture education programs like 4-H and Future Farmers of America. The already-promised scholarships will be given out this year; beyond that, nothing is guaranteed. The youth livestock competitions have been relocated from the state fair to the Rockingham County Fair in Harrisonburg, in north-central Virginia." A similar situation has occurred in Georgia, where a two-fair system has been created. There, the Georgia State Fair also sold out to Universal Fairs but youth livestock competitions and arts and culture shows are run at the Georgia National Fair in Perry. Some think the latter fair is what matters. Jim Tucker, president and CEO of the International Association of Fairs and Expositions, told Clark that "wherever the agricultural community meets to identify the best livestock genetics or swap tips about how to make the best jams will be the home of the true state fair." As we face an election where voters are likely to be inundated with misleading if not outright false political commercials, dare we hope that broadcasters will refuse to run those that play fast with the facts? It's not widely known, but TV and radio stations and cable companies do have the power to reject ads that do not come from political candidates. And they rarely use that power, according to a study by the Annenberg Public Policy Center at the University of Pennsylvania. In the voluntary-response survey of station managers, "Only 56 percent said they screen the accuracy of third-party ads," Justin Peters writes for Columbia Journalism Review. "And just 13 percent of the respondents said their stations had refused to air at least one third-party ad during the past 12 months." Our guess is that most of those who don't screen the ads didn't respond to the survey. The study also "suggests that many station managers and executives are unclear about their rights and responsibilities when faced with a political ad that takes liberties with the truth—in particular, whether they can refuse to run certain questionable ads, or suggest edits, or otherwise factcheck the content before it airs," Peters reports. Here's our view: Stations should check these ads for accuracy, and reject those that mislead. If they don't, local newspapers should point that out, in addition to doing their own fact-checking. 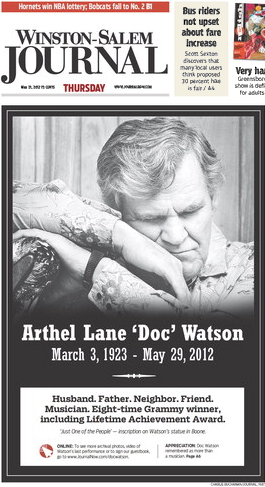 Arthel "Doc" Watson, the blind guitarist who "left an indelible mark on American folk and country music," according to The Washington Post, died Tuesday at 89 in his native North Carolina. 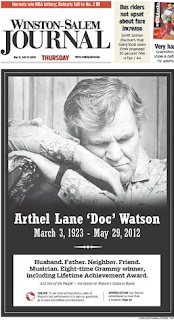 Wayne Martin, executive director of the state Arts Council, told the Raleigh News & Observer, “He made musical traditions of Western North Carolina and the Blue Ridge Mountains accessible to millions." The History Channel's miniseries about the most famous of Appalachian family feuds garnered millions of viewers in showings of the first two of three episodes. "Hatfields & McCoys" premiered as the most viewed show ever on advertising-supported cable TV, with 13.9 million viewers, excluding sports, reports TV Week. The second episode drew 13.1 million viewers and the third 14.3 million. Though the numbers are impressive, the inaccuracies in the six-hour miniseries cannot be overlooked, writes Gloria Goodale of The Christian Science Monitor. "This is the History Channel debuting its first scripted series, coming out of the gate with the somewhat lofty goal of illuminating some of history’s lesser-known corners," she writes. "While most Americans may know the reference to the 19th-century Appalachian blood feud, few know more than the gun-toting, cartoon cowboy characters who shoot at each other and miss." Historian Thomas Flagel told Goodale that it's hard to separate fact from fiction because people were not keeping accurate track of their own stories during the feud. Goodale writes that the show's producers "were at pains to point out in press materials that while not actually filmed in Appalachia," but in Romania, they tried "to capture accurately details of the family fight that eventually involved the U.S. Supreme Court, made international headlines, and nearly pushed Kentucky and West Virginia to the brink of war.'" Cheryl Truman of the Lexington Herald-Leader compared the miniseries to the facts in the Lisa Alther book Blood Feud: The Hatfields and the McCoys: The Epic Story of Murder and Vengeance and found some glaring inaccuracies. There is no evidence that the patriarchs, Anderson "Devil Anse" Hatfield and Randolph "Randall" McCoy, were Confederate war buddies, as the series depicts. The series also skews the facts of who survived one of the largest fights in the feud, the New Year's massacre, and omits the Kentucky state government's involvement in ending the feud. Alther cited several inaccuracies in an email interview with Christopher John Farley of The Wall Street Journal, but said, "This is how historical fiction works, and the miniseries is a fiction, not a documentary." This was her key point: "During my research I was most surprised to discover the devastating long-term impact this feud has had on Appalachian people. Almost single-handedly it shaped the unfortunate stereotype of the ignorant, drunken, violent, lazy hillbilly, which was used by industrialists after the feud ended to justify their invasion of the southern Appalachians to extract the timber and coal, keeping most of the profits for themselves and leaving behind poverty, diseased and maimed workers, and environmental destruction, including 500 mountains that have been destroyed so far." Alther was referring to mountaintop-removal mining, which began about 40 years ago. The Journal's headline writer missed the mark, saying the feud "ruined the image of rural America," not just Appalachia. But the short interview is worth your time; it is here. UPDATE, May 31: Kentucky Power Co., a subsidiary of AEP, dropped its plan for the retrofit of the plant and the rate increase, saying it "expects excess electricity to be readily available for purchase from other sources by the time it would have to comply with the new EPA standards," Scott Sloan reports for the Lexington Herald-Leader. The announcement "is another blow to coal in a state that's one of the nation's leading producers," Sloan writes. 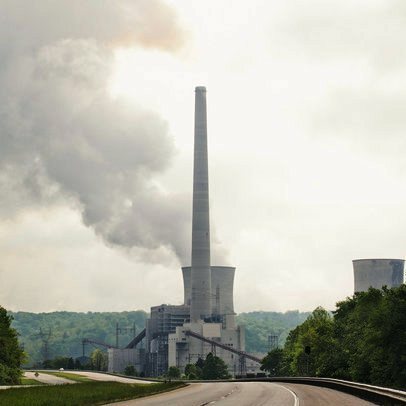 Eastern Kentucky is bracing to see how the state utility commission votes within the next week on a costly proposal to retrofit a power plant to allow it to continue to burn coal instead of cheaper, cleaner natural gas. This is a tough sell in coal country but one that is not as clear-cut as it used to be. Eric Lipton writes in the New York Times that there are, of course, those who believe that to give over the Big Sandy power plant in Louisa to natural gas is tantamount to surrender to the environmentalists. But the truth is more complicated. The surge in natural-gas production in the U.S. through the process of hydraulic fracturing has made gas a cheaper and less polluting alternative to coal, and new anti-pollution rules will make coal plants more costly. Lipton notes that "more than 100 of the 500 of the coal-burning power plants in the United States are expected to be shut down in the next few years." The Big Sandy's $1 billion retrofit by plant operator American Electric Power to "save coal" will also mean a 30 percent rate hike to its customers. This is something many locals wonder if they can manage when their bill comes. Estimates are that an average AEP residential customer would pay an additional $472 a year to pay for the retrofit. Lipton writes: "Channeling the animosity toward Washington and fears of their livelihoods, coal producers union leaders, landowners and railroads . . . have leaned on county judges, state legislators and other politicians to attempt to silence public criticism of the 30 percent electrical rate increase and to pressure the Kentucky Public Service Commission to approve the retrofit project." UPDATE: Sloan notes that the state attorney general's office "took aim at the idea that keeping a coal plant in Eastern Kentucky helps the region's economy," noting that "only 30 percent of the coal burned at Big Sandy comes from Eastern Kentucky," and a retrofitted plant would "likely expand the types of coal that it uses . . . using less low-sulfur Eastern Kentucky coal, and replacing it with more higher-sulfur varieties such as Illinois Basin coal." Sometimes it pays to look again at tired data with fresh eyes. That's what Ben Winchester, a research fellow at the University of Minnesota Extension Center for Community Vitality, did. And he found that over the last 20 years there has been an increase in the number of young adults in rural places in Minnesota, and now in a new report, across the Midwest. 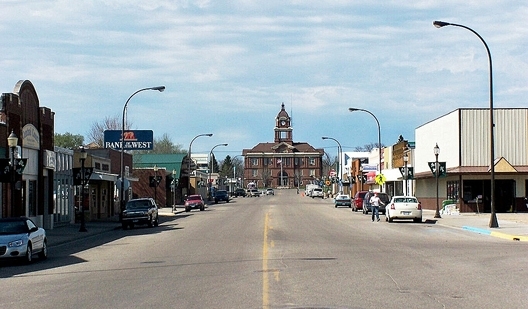 The report, "Continuing the Trend: The Brain Gain of Newcomers," is summarized in a story in the Daily Yonder which notes that Winchester disputes a lot of accepted wisdom about rural decline. An example: "It is true that the relative percentage of those living in rural places has declined. However, the actual number of people living in rural areas increased between 1970 and 2010 from 53.5 million to 59.5 million." Another example: "While some counties lost population overall, they gained population in certain age cohorts, like those in the 30s." In that age group, two-thirds had bachelor's degrees. That's not a brain drain, but brain gain, writes Winchester. They said they came for simpler lives, safety, affordable housing, outdoor recreation, quality schools. Winchester writes that "the preference for living in smaller towns and rural places continued between 2000 and 2010," though the slowing pace of that migration could be explained by the downturn in the economy. Looks like folks in Tennessee have been talking to their state legislators again. This time, it's to freshman Republican State Rep. Jeremy Faison who went on Facebook over the Memorial Day weekend to ask his constituents (and everyone else on the planet who is his friend) if they would like him to try to do something about "cyber-bullying." According to David Oatney of the Tennessee Statehouse Examiner, Faison's constituents were actually asking him to do something -- please -- about Topix. Which, as many in rural communities know, "has become a catch-all for discussing all kind of local events anonymously around the country, but it has become something of an Internet gossip hall or a sort of cyber hair-salon in rural East Tennessee." Or rural (insert your state here). Faison told the Examiner: "I think people need to understand that we aren't really in a position to regulate the Internet from Nashville, and is that something you'd really want us to do?" Faison went on to say that the Topix site is advertiser-driven, and if you wanted to stop it from existing, stop visiting the website. The United States Department of Agriculture announced its decision on consolidation of its Farm Service Agency county offices, moving to combine 125 of the 131 offices with other USDA service centers, as required by the 2008 Farm Bill. Public meetings were held within 30 days of the original announcement in every county affected by the proposal. In the USDA announcement, the department states that FSA will provide farmers and ranchers affected by consolidations an opportunity to choose the most convenient neighboring county office to conduct their future business. In addition, all employees in a closing office will be provided an opportunity to continue their work with FSA. Under the USDA's Blueprint for Stronger Service, the agency will also close or consolidate 259 other domestic and seven foreign offices. The six proposed county offices that will continue operating are: Lafayette County, Ark. ; Boulder County, Colo.; St. Mary Parish, La. ; Pamlico County, N.C.; Mayes County, Okla.; and York County, S.C. A complete list of FSA county offices affected by this decision can be obtained by clicking here. Local broadcast news operations in smaller markets are suffering the same kinds of financial woes that newspapers have so publicly tangled with in recent years, so much so that the Federal Communications Commission indicated last week that it is studying how stations collaborate to cut costs and staff, and what that means for news consumers and local democracy, reports Brian Stelter of The New York Times. 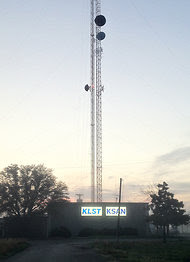 The FCC says it "does not know how many agreements exist between stations," such as the CBS and NBC affiliates in San Angelo, Tex. (Stetler photo), that share office space, news videos and scripts, but a University of Delaware study last year found such agreements in 83 of the 210 U.S. markets, mainly small ones, Stetler reports. The other San Angelo station, a Fox affiliate, rebroadcasts news from San Antonio, four hours away by car. The first "shared services agreements" for small newsrooms occurred a decade ago, when news directors wanted to share costs of, say, a helicopter, but those agreements have expanded to include sharing whole newscasts or segments of newscasts and a cast of reporters, Stetler reports. In some markets, one station, usually an affiliate of Fox or a smaller network, has no news department and its news hours are filled by broadcasts produced by another station that airs its own news at different times. In many towns, the station with no news department is owned by Sinclair Broadcasting. California is the nation's No. 1 agriculture state, on the strength of many crops that are untouched or barely touched by the Farm Bill, which has focused on the big commodities of corn, wheat, soybeans, cotton and rice. Thus, newspaper coverage of the bill tends to be dominated by papers in the Midwest, such as the Des Moines Register and the Omaha World-Herald. Yesterday, the San Francisco Chronicle weighed in with a report from a different perspective. California "is destined to cede billions of dollars to entrenched commodity interests in the Midwest and South" as the bill "sets the nation's food policy for the next five years," writes Carolyn Lochhead, the paper's Washington correspondent. "Subsidies in the new legislation would encourage corn and other commodity crops that are a major component of processed foods and animal feed rather than the produce that is the staple of a healthy diet." That, of course, is nothing new, but is worth noting in a nation with an obesity epidemic, as is this point: "Because they did not rely on federal payments, California fruit and vegetable growers led the country in innovative farming methods, adapting to market demand and diversifying risk." But that doesn't mean they haven't been trying to get in the Farm Bill. They succeeded to a small degree four years ago, and are hoping to at least maintain those gains this time. "The state's fresh fruit and vegetable growers are pleased that the Senate bill preserves hard-fought gains in the last Farm Bill in 2008, including research for organics and produce, farmers' markets and more fruit and vegetable purchases for school lunches and other federal food programs," Lochhead reports. FARM launched a national tour to show the “Farm to Fridge” video in early May. 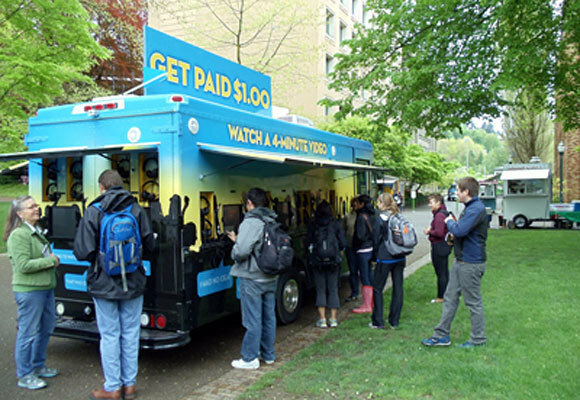 The "10 Billion Lives Tour," named after the estimated number of land animals raised and killed every year for food in the U.S., began in Portland, Ore., and has traveled through California, stopping at colleges, universities and fairs. There have been no protests or counter-campaigns by meat producer advocacy groups at stops along the tour, Elist reports. Nearly 40 percent of Americans who depend on public transit, including senior citizens, the disabled and those with low incomes, live in rural areas, which typically lack public transit, according to report from Reconnecting America, a nonprofit group that promotes public transit. The reports says rural transit agencies operate much differently than urban transit providers. As many as 86 percent of providers offer demand-response service, which operate more like taxi services than big-city buses. Despite the challenges, investment in rural transit is improving, the report finds, and says communities that prioritize services are seeing economic results. Meanwhile, Angie Schmitt writes on DC.Streetsblog.org about an innovative funding program in rural Allendale, S.C., where the University Transportation Center, Sisters of Charity, Allendale County, Allendale Alive (a non-profit rural development organization), the South Carolina Department of Transportation and the Lower Savannah Council of Governments chipped in to provide adequate money and services where needed.